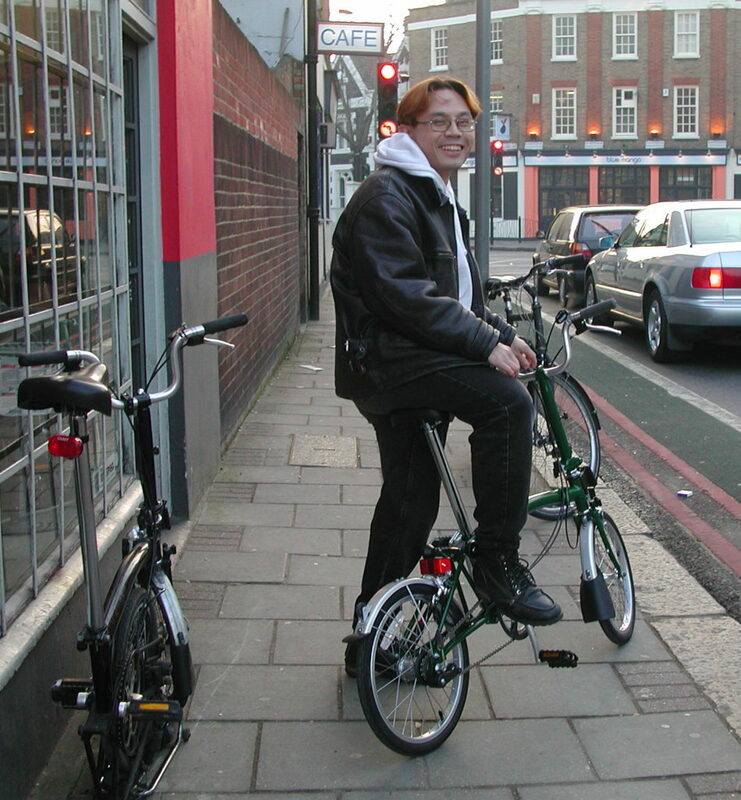 I realized today that I’ve been riding Brompton bikes for about fifteen years. 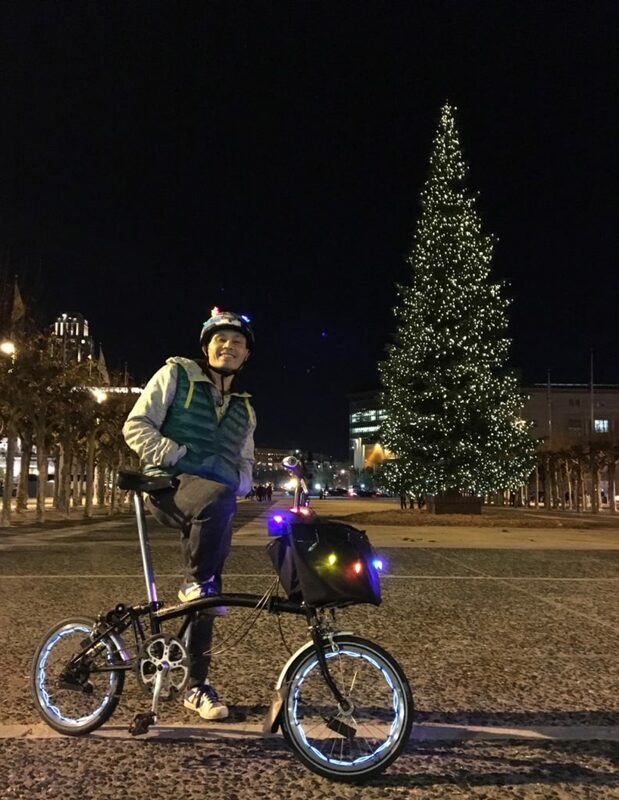 The Brompton is one of the best purchases I’ve ever made in my life, greatly contributing to my overall quality of life, health, and happiness. 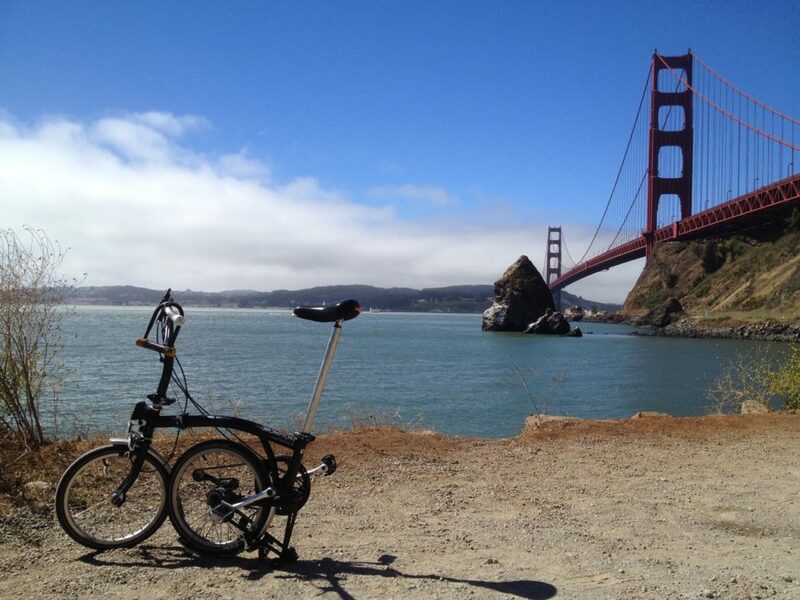 The Brompton is simply a well-built machine. Designed for London city biking, it’s durable, adaptable, and elegant. It’s also a pleasure to ride, on most standard city conditions. And it’s totally manageable with a bit of effort for longer, more variable rides — like from San Francisco, across the Golden Gate Bridge, to Sausalito. Since it was designed for biking in English urban conditions, it does fine in foul weather. I’ve ridden it in the rain and even in the snow when I was living in Geneva. The foldability is of course one of its main features. I can get mine folded up completely in just a few seconds. I love taking it on any kind of public transportation, even ones that don’t normally accept bikes, like our local Muni train in San Francisco. You can also easily take it with you into places that don’t allow standard bikes, like the movie theater or even the grocery store. 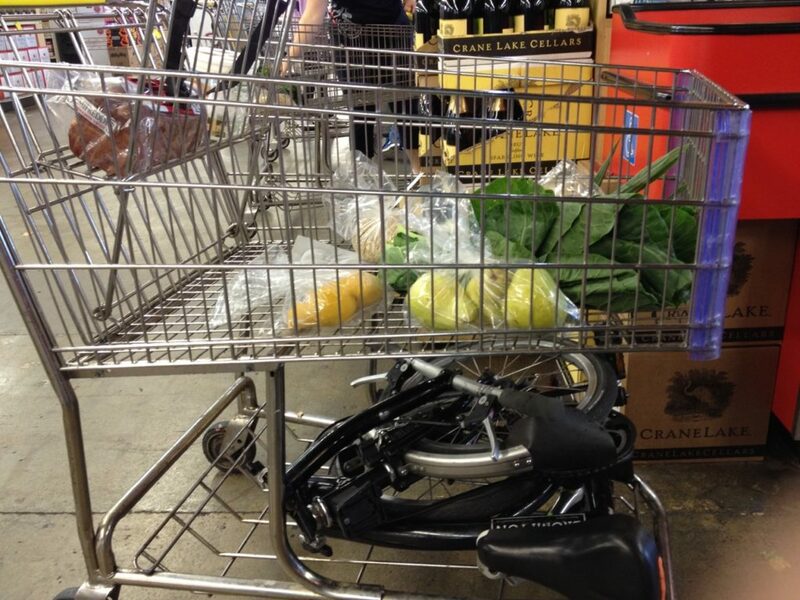 There are a few downsides to the Brompton, of course. One drawback is that it’s heavy as heck, at least compared to other foldies on the market. Much of that is due to the material, which is a steel. The advantage of steel is durability and stability, but it is much heavier than aluminum and hybrid material frames. 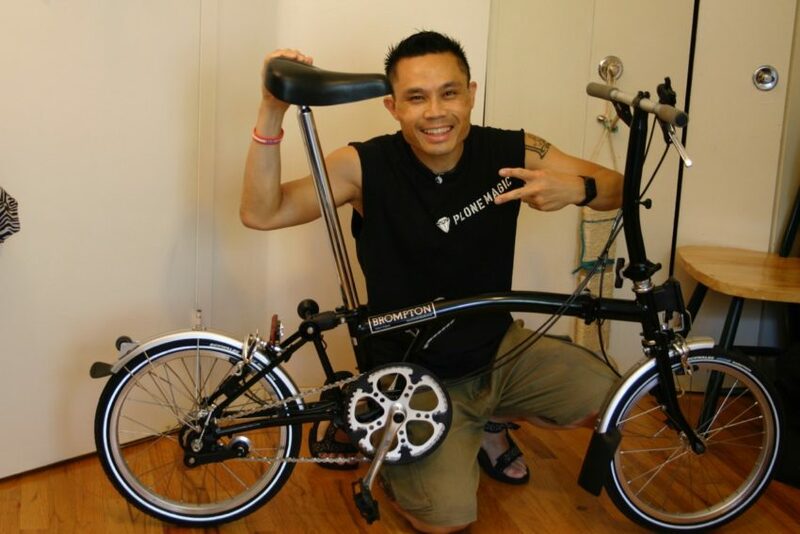 Servicing a Brompton can be an issue, particularly if you don’t live in a major urban center. Even a bike-friendly place like San Francisco only has a couple of shops that know how to service a Brompton. Same goes for getting replacement parts, although those are now much easier to get on the internet. The main downside is the cost. It’s not a cheap bike, for sure. There are much less expensive foldies out there, as low as the $500 range. But for my buck, paying extra for the Brompton has been totally worth it. My Brompton is regular source of pleasure every time I ride it. My current Brompton is more than ten years old, and still rides great. I look forward to many more years of pleasant riding.